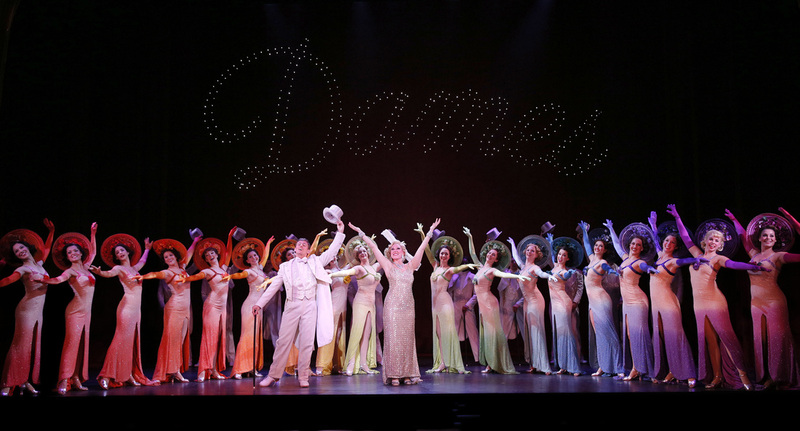 Culturally, we can see 42nd Street as an unglossed look at the tough realities of backstage life. The crisp dialogue, street-wise cracks, charm, humor and a most likable cast of characters make us care about these struggling performers. The story revolves around the young and naïve Peggy Sawyer (Caitlin Ehlinger), a true talent with a wonderful voice and unparalleled dance moves who has come to New York to make her Broadway debut. Famed director Julian Marsh (Matthew J. Taylor) has fallen on hard times during the depression and launches a comeback campaign with an ambitious new musical “Pretty Lady”. After an impromptu routine with some of the other dancers, Marsh decides to hire Peggy for the chorus. Meanwhile, the famous Dorothy Brock (Kaitlin Lawrence), a prima donna with a penchant for complaining, slips into the cast as the leading lady because her sugar daddy Abner Dillion (Mark Fishback) is financing the whole thing. Dorothy gets injured accidentally by Peggy, who winds up taking over the lead role to save the show and the jobs for the hard working “kids in the line.” The show has heart and moxie. The sets designed by Beowulf Boritt are stunning and elaborate, complementing the eye-popping costume designs by Roger Kirk. The pit musicians actually had a reference during the proceedings and played the beautiful score to perfection under the direction of Music Director J. Michael Duff. Mark Bramble’s direction set the perfect pace, keeping us engaged while the music kept our toes tapping. This show is fantastic, high-energy, beautifully danced and sung – leaving you singing the songs and tapping your feet long after the shows over.